1 owner, Four wheel-drive, Air Conditioning Automatic/2-Zone Control, Auto Start - Stop, DAB Digital Radio, 18in Light Alloy Wheels M Star - Spoke Style 386M with Mixed Tyres and Wheel Bolts, Locking, Alarm System (Thatcham Category 1), BMW Professional Radio with Single CD Player (with MP3 Playback Capability), Bluetooth Hands Free Facility/USB Audio Interface, Electric Windows - Front and Rear-with Open/Close Fingertip Control-Antitrap Facility and Comfort Closing, Heat Protection Glazing with Green - Tint, Hillstart Assist, On - Board Computer (OBC), Rain Sensor/Automatic Headlight Activation, Start/Stop Button with Comfort Go Keyless Engine Start, Tyre Pressure Monitor, Upholstery - Hexagon Cloth/Alcantara. 5 seats, SATELLITE NAVIGATION + BLUETOOTH + BLUETOOTH AUDIO + CONNECTED DRIVE + FRONT AND REAR PARK ASSIST + DAB RADIO + 18' ALLOY WHEELS + 2 X KEYS + FULL LEATHER INTERIOR. 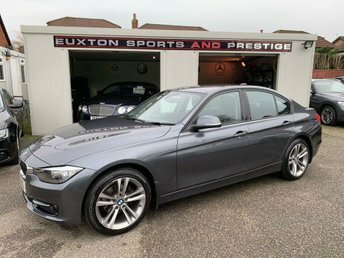 , SATELLITE NAVIGATION + BLUETOOTH + BLUETOOTH AUDIO + CONNECTED DRIVE + FRONT AND REAR PARK ASSIST + DAB RADIO + 18' ALLOY WHEELS + 2 X KEYS + FULL LEATHER INTERIOR.